← Friday Afternoon Follies: 70s Style! Last Friday I had some charming visitors in the Woodson. 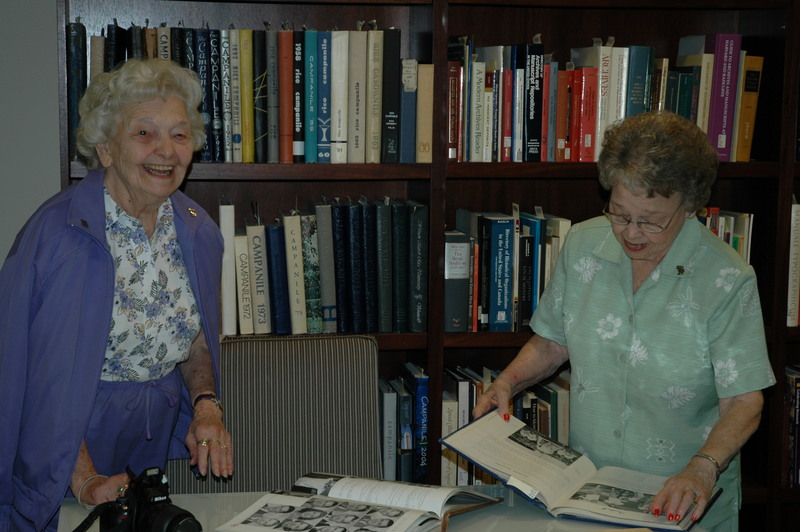 Elizabeth Knapp Gayle, ’41, and Carolyn Knapp Hohl, ’43 came in to see their father’s scrapbook that we have in the Woodson. I’ve mentioned their father, Carl, ’16, many times (here’s one) but I didn’t know that their mother was also an early Rice grad, Anna Ricketts, ’18. They came in with Carolyn’s daughter and a granddaughter and we had a wonderful time looking at pictures and telling stories. They were warm and really funny and I loved every minute of the visit. Another thing I didn’t know was that they had more scrapbooks. They came in with two, which have been left with me for scanning. 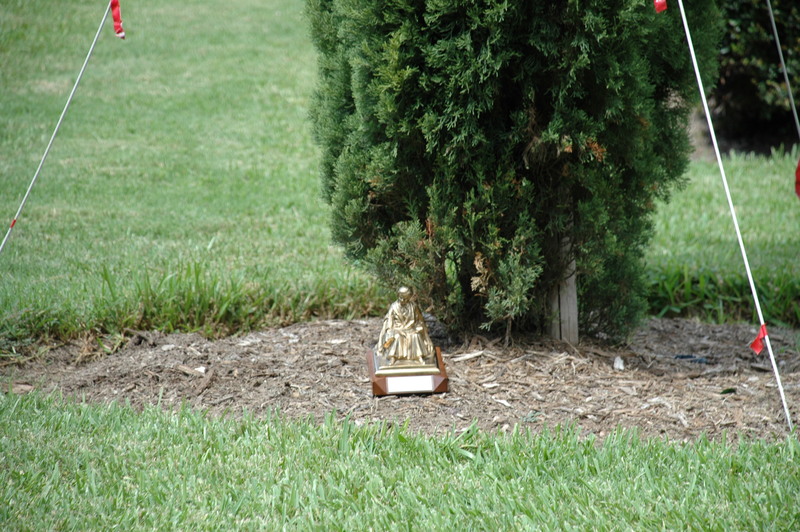 I’ll return them when I go up to visit them soon in Tomball. As you know, I can get pretty pumped about even one or two old images I’ve never seen before. Here, I have dozens, and from the earliest days of the Institute. 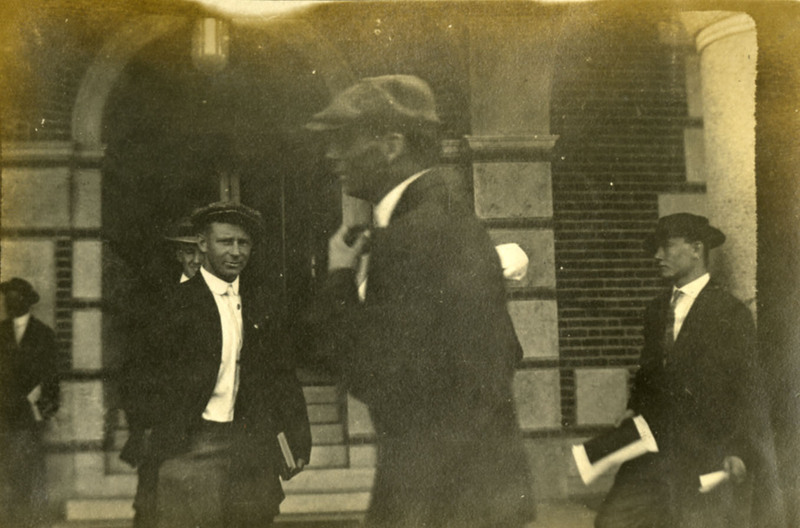 On the first page of one of the books, evidently given to Carl as a Christmas present, is inscribed “To Carl M. Knapp, December 1912.” He began filling it immediately with photographs he took himself. His daughters both testify that he remained a camera man his whole life. This is him in 1912. 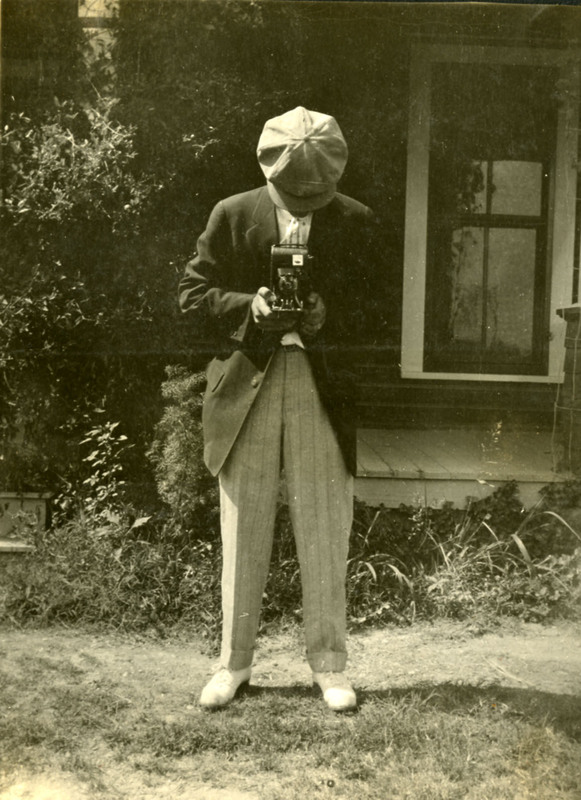 The photo is labeled “Kodaking.” Note the hat–we’ll see it again. “Colonel,” of course, is my old friend W.T. Betts. Bonus: Daredevil Willy isn’t afraid of a cypress falling on him.